Bella's Bloody wedding dress. 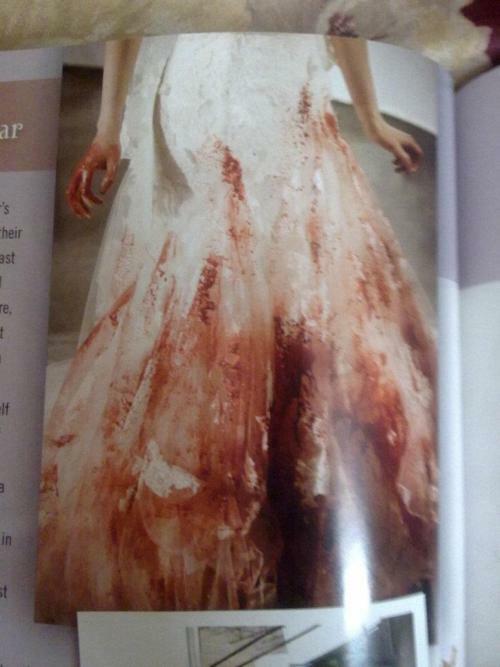 Bella's bloody wedding dress from the wedding nightmare. Wallpaper and background images in the Twilight la saga club tagged: twilight saga breaking dawn bella bloody blood wedding dress nightmare movie. This Twilight la saga photo contains abattoir, butchery, shambles, and slaughterhouse. There might also be salumi.